I don’t know about you, but I see Canadians as warm-hearted, kind, smiley people. They just seem happy. And I want them to be even happier. The thing is, this can be easily achieved by a better sleep. So simple, right? 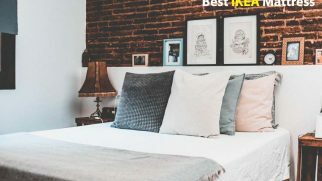 Today, we are going to look at 8 best mattresses in Canada and see which one will allow for your heavenly restful sleep. How Does Your Mattress Affect Your Life? Being a truly Canadian product, Novosbed offers a combination of all the good things you might want in a mattress. It is supportive, comfy, and very nicely made. Additionally, this model is very flexible in use: you can pick among three firmness levels and even get free firmness adjustments after sleeping on it at home. The DuraBase support zone is dense and works to distribute the body weight evenly. The Recore transition zone offers pressure relief, body contouring, motion isolation, and a smooth transition from the comfort layer to the base of the mattress. The Novos comfort zone is made of squishy and cushioning memory foam. The Tencel cover is breathable, soft, and even machine-washable. The coolest thing about this model is how versatile it is. This mattress is perfect for people who don’t really know what they need. Novosbed comes in three firmness levels, so there’s an option for everyone. And if you don’t feel too comfortable sleeping on it, the company offers free firmness adjustments. The worst thing about this mattress is the fact that it might sleep hot, especially if you are a heavier user and sink in deeper into the foam. Despite some minor flaws, this model deserves to be among the best mattresses made in Canada. It is very well-made and offers great comfort levels. Want to see for yourself? Click here to order! 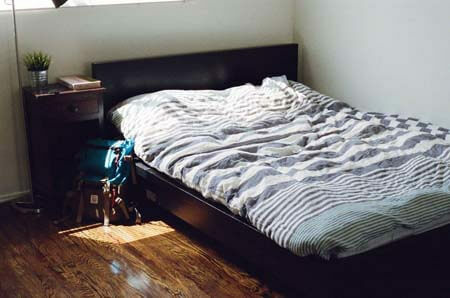 Save $100 on Novosbed mattress from Happysleepyhead, no coupon code needed. 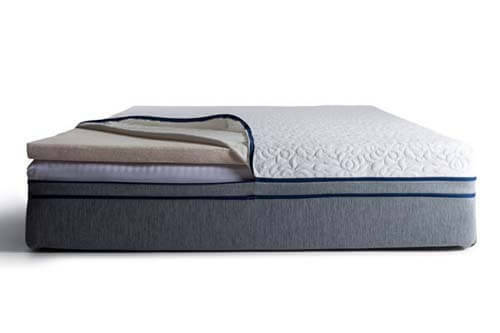 The next item on our list of the best mattresses made in Canada is Douglas. This medium-firm model is one of the most budget-friendly options on the modern market. It combines a smart design, great comfort levels, and a rather reasonable price. The 6-inch support foam layer functions as a core base and helps with motion isolation. The 2-inch Elastex foam layer serves as a transition layer. The 2-inch ecoLight gel foam layer provides both soft cradling and a cooling effect. The CoolSense cover is made from eucalyptus fabric and helps with temperature regulation. The absolute best thing about the Douglas mattress is, of course, its price. 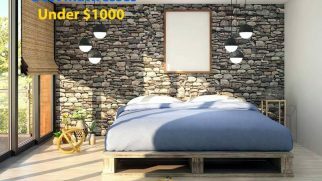 For just 749 CAD (which is around 580 US dollars), you get a great bed, which is nicely made and has an effective layer composition. For such money, this mattress is a real steal. As for the drawbacks, the most noticeable one is the absence of firmness options. I know, this isn’t such a huge issue, especially given the fact that Douglas comes with a trial period. Still, I realize that because of this small flaw, Douglas might not be suitable for many users, and that’s quite upsetting. To be honest, this mattress managed to pleasantly surprise me. It is very comfortable and feels supportive and cradling at the same time. For such a price, it’s a real treasure! Ready to order? Click here! 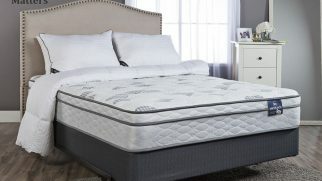 Save $50 on Douglas mattress from Happysleepyhead, no coupon code needed. The individually pocketed coils serve as a supportive base of the bed. The 2-inch supportive foam layer adds some cushioning and balances out the firmness of the coils. The 1-inch contouring foam is the base layer of the pillow top. It offers a good level of cradling and conforming. The 1-inch gel foam layer works to provide a cooling effect while gently cradling the body. The silk-blend pillow-top filling is soft and breathable, which means it can help with temperature regulation too. The eucalyptus fiber cover feels smooth and silky while being breathable and great at moisture wicking. The coolest thing about this mattress is its feel. Thanks to the pillow-top + coil system combo, you get a very comfortable bed. It is supportive and can keep your spine properly aligned. At the same time, the pillow-top is soft and cradling, which makes the whole construction feel more balanced. What might disappoint you the most is the fact that Logan & Cove isn’t the best option for side sleepers. You see, this is a medium-firm mattress. And while the top feels quite soft, side sleepers might sink deep into it and hit that supportive base, which probably won’t feel too comfy. 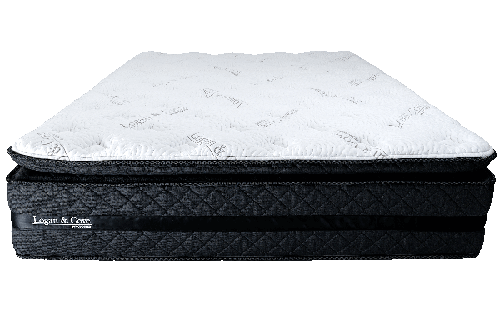 If you are a back/stomach sleeper who wants a luxurious feel for a reasonable price, then Logan & Cove would be a perfect option for you. Are you convinced? Click here to order! 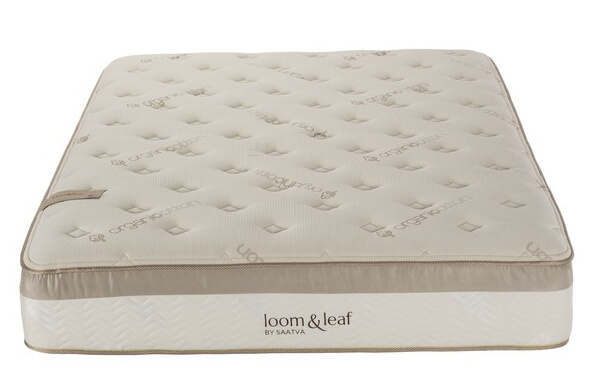 Save $100 on Lovan & Cove mattress from Happysleepyhead, no coupon code needed. Being an all-foam mattress, Endy has a lot to offer. It is cradling, great for pressure relief, and comfortable. Additionally, it is perfect for couples! This mattress absorbs motion like no other model. The base support layer made from memory foam, which is dense and serves to ensure the correct posture of your body during rest. The middle transition foam balances out the overall construction and smoothens the transition from the comfort layer to the dense base. The Endy comfort foam is a very cradling and contouring top layer, which creates great motion isolation levels. 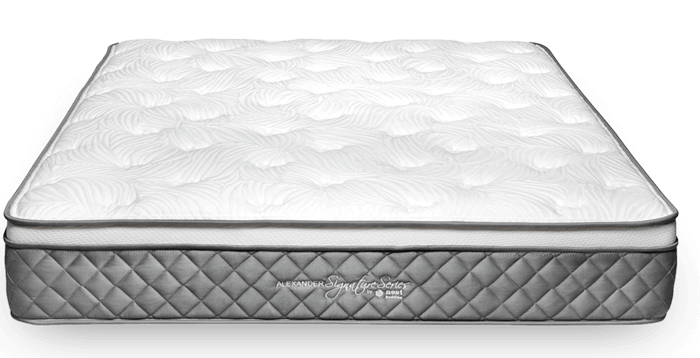 The cover is micro-quilted for improved breathability and removable for an easier cleaning process. The material of the cover is a polyester + lycra blend. What might impress you the most is the motion absorption this mattress is capable of. Even if you and your partner have a large difference in weight, you will not feel a thing during the night, even if one of you tends to toss and turn a lot. The worst thing about Endy is that it might be too plush for some users. If, for example, you are a stomach sleeper, a heavier user, or simply prefer sleeping on firmer mattresses, Endy will probably be too soft for you. Overall, Endy is a great mattress. Being Canadian-made, it is durable and reliable. Additionally, it is heavenly comfy! Curious to test it out? Click here to order! The steel coil support system is the base of the bed. It is very supportive and offers a fast response. The dual perimeter edge support system creates a larger sleeping area for you and your partner. The lumbar support memory foam offers superb pressure relief and, at the same time, reduces tension in your back. The individually wrapped comfort coils, being rather small, work to contour and support your body simultaneously. The euro pillow-top and cotton cover adds some extra padding for your improved comfort. It is soft, smooth, and pleasant to the touch. The absolute best thing about Saatva is definitely its construction. This is a hybrid model, which means it combines all the best materials for the most comfortable feel. You get the strong support from the coils and that pleasant cradling from the foam. To me, that’s a perfect combo. As for the drawbacks, the biggest one is probably the motion transfer. This mattress is quite bouncy. Therefore, it doesn’t absorb the movement that well, which means it might not be suitable for couples. I personally love hybrid mattresses, and Saatva isn’t an exception. This supportive mattress is very comfortable and works well for different sleeping positions thanks to its smart construction. Feel like this would be a great option for you? Order here! The next item on our list is another popular American mattress. Loom & Leaf is a foam model, but don’t think that it sleeps hot. In fact, this mattress has great cooling properties thanks to the smart material blend. The multi-layered base features three layers, each of which serves to provide proper support for your body and the base for the overall construction. 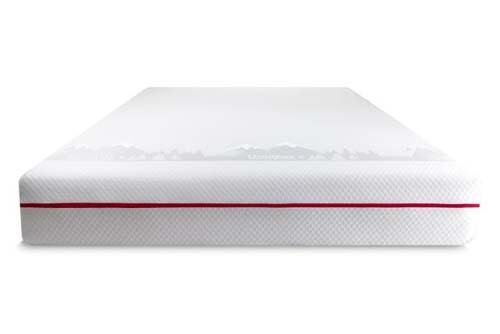 The memory foam layer offers a nice contouring effect and generous cradling, perfect for pressure relief. The Spinal Zone gel layer is the cherry on top: this top layer provides a cooling effect while also being quite bouncy and responsive. The organic cotton cover is breathable, soft, and pleasant to the touch. And it gets better: it is natural, which means it’s suitable for allergy-prone people. What you might love the most about this model are its cooling properties. That gel layer is a real game changer. While being hugging and cradling, the mattress doesn’t sleep hot. In fact, it might even help you cool down during a warm summer night. The worst thing about Loom & Leaf is its weak edge support. Therefore, if you share your bed with a partner and need a larger sleeping area, you might want to go with a larger size when buying this mattress. Loom & Leaf definitely has a lot to offer. This mattress has the potential to alter your sleep for good and serve you for many years. 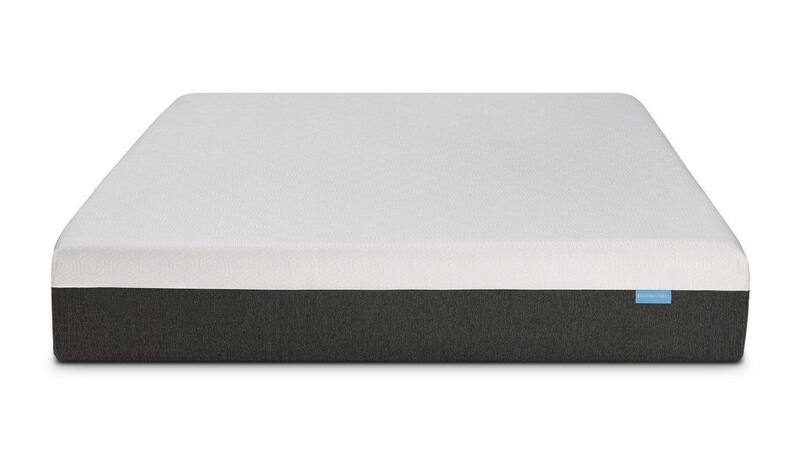 The 7-inch base foam is not only a core of the mattress. It also contributes to the edge support. The 2-inch SmartFlow foam is designed for improved airflow. The 1.5-inch Visco foam provides cradling and contouring. The 1-inch gel-infused memory foam serves as an extra comfort layer and offers a cooling effect. The quilted cover is soft and silky smooth. The absolute best thing about this mattress is its quality, which is also reflected in its prolonged warranty. This model is certainly built to last you for years. And with such a warranty period, you can feel safe and protected as a customer. As for the drawbacks, the biggest one is the edge support. Even with some reinforcements at the bottom, the edges of the mattress do not hold up very well under weight. This limits your sleeping area if you share your bed with a partner. If you want your new mattress to be durable and have a luxurious feel, this model will be perfect for you. The last item on our list of the best mattresses in the US and Canada is Bear. This particular model is a real steal if you ask me. Featuring a smart and effective construction, it is sold at a rather reasonable price, which makes it an awesome option for people who are looking for the best value for money. The support layer is made from high-density foam. The transitional foam layer helps with pressure relief. The responsive comfort foam offers a nice amount of bounce. The cooling graphite- and gel-infused foam is used for temperature regulation. The Celliant cover makes for better air circulation. Now, what you will love the most about this Bear mattress is the value for money it offers. 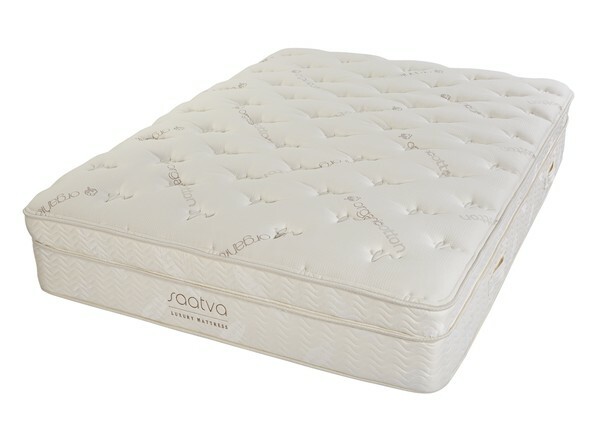 I know you might think, “$900 for a Queen isn’t such a great deal…” However, given this mattress’s quality, comfort levels, and the fact that this price includes shipping to anywhere in Canada (plus taxes and customs fees), I think you’ll agree that this is the best value for money you can find on the market these days. Want to know the worst part too? Well, the biggest drawback of this mattress is the absence of different firmness options. This means Bear is suitable for a certain group of people and cannot be considered a universally comfortable mattress. To be honest, this mattress managed to impress me. It is comfortable and offers a balanced combo of support and cradling. And don’t forget about the value that it offers! Comfort. Obviously, this factor is crucial. The first thing a mattress should be is comfortable, and we make sure to test each of them and how they feel. Shipping. No matter whether you’re buying from a Canadian brand or ordering from a US-based company, you need good shipping terms. We always try to pick only the companies that offer a fuss-free delivery service for a reasonable price (or for free, which is even better). Support. We all know that without proper spinal support, our sleep cannot be healthy. 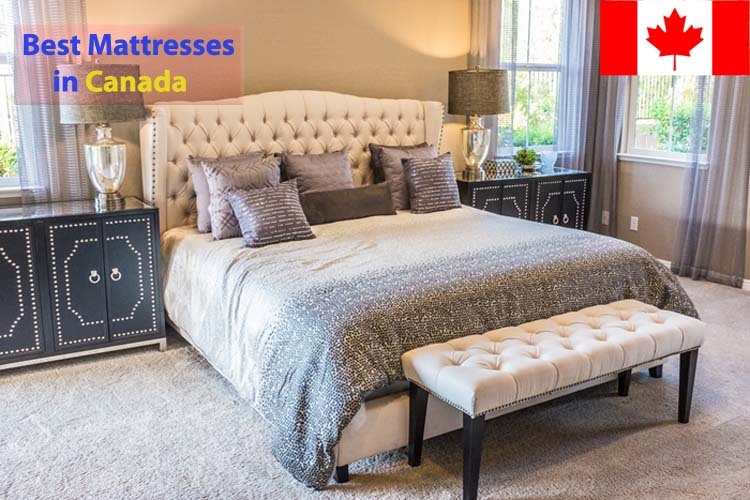 Therefore, when searching for the best mattresses in Canada, we always pick the ones that can distribute the user’s body weight evenly and help with spinal alignment. Even when it’s a soft mattress. Company reputation. Buying from trustworthy brands ensures your safety in case something goes wrong. Materials safety. We spend a lot of time sleeping. Naturally, we all need our mattresses to be safe for our health. That’s why we always check the safety certifications of each mattress model. Value for money. No matter how much you pay for your new mattress, you want to get a good deal for the money. That’s why we choose only the models that have a lot to offer for the price. If we recommend a cheap option, we make sure that it’s still comfortable and worthy of your attention. If we suggest an expensive mattress, you can be sure that it’s a really luxurious model, which will offer superb comfort levels. Warranty and trial. Here’s the deal: a sleep trial is a very helpful bonus, even when buying from a physical store. It allows you to test the mattress for a few nights and really see whether it works for you or not. As for the warranty, the longer it is, the better. A good warranty keeps you safe for years and guarantees the quality of your new mattress. Reviews. One mattress cannot suit everyone, so we always read other people’s reviews to see whether it’s suitable for different body types and users’ preferences. Without proper sleep, we lose energy, concentration, and eventually, our health. And without a good mattress, we can’t get a healthy, restful sleep. Sounds pretty logical, doesn’t it? Sleeping on an old mattress leads to back pain. This one is pretty obvious, isn’t it? When your mattress is old, lumpy, or saggy, it cannot support your body weight properly. Consequently, it cannot help with the correct spinal alignment. This leads to such unpleasant things as back pain, sore neck, and even headaches. A new mattress can reduce your stress levels. Good restful sleep helps people relax. So, as you have guessed, a new comfy mattress can improve your well-being, make you sleep better, and reduce your stress. Sleeping on an old mattress will probably enhance your allergies. Our mattresses collect pretty much everything: dead skin cells, tiny hairs, sweat, dust, small debris, fluids, and so on. And all that nasty stuff inside can make your allergies (if you are prone to them) enhance noticeably. An uncomfortable mattress can be bad for your… brain. Yes, your brain. Lying on an old, uncomfortable mattress means low-quality sleep. And when you don’t get enough sleep, your brain doesn’t function as well as it used to. You lose focus and lack concentration. It gets harder to memorize things. You become less creative and more irritated. The list can go on, but you get the picture, right? An old mattress can lead to chronic insomnia. 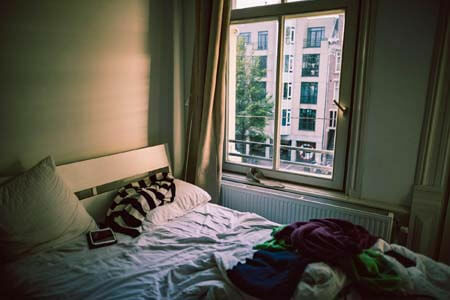 It’s simple: when your bed doesn’t feel comfortable, you can’t sleep. And when you can’t sleep every night, this turns into a serious condition. Bad sleep can make you gain weight or go back to your old (bad) habits. Insufficient sleep is directly linked to your stress levels. And increased stress levels lead to people gaining weight, drinking more alcohol (“just to relax”), and starting to smoke even after quitting. If you feel a bit stressed out when shopping for a new mattress, that’s okay. It’s a serious investment, which involves a lot of thinking and doing a thorough research. And I’m here to help you with that. Determine the budget. Figuring out how much you can spend can make the picking process easier. Once you know what portion of your budget you can spend, you get a certain selection of mattresses, which belong to this price category. However, you should also consider some extra expenses like shipping (if it isn’t free), taxes, and perhaps a set of new sheets. Decide on the needed size. The bigger the mattress, the more expensive it is. Therefore, you don’t want to pay more if you don’t need a larger bed. Consider the mattress type. 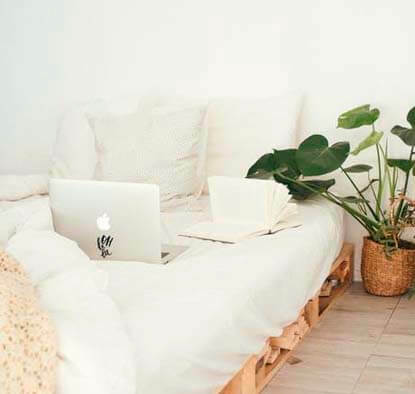 There are so many mattress materials available these days, so you need to figure out which one will work the best for your specific needs and preferences. To do that, keep reading and learn the peculiarities of each type. Think about your favorite sleeping position. It will determine the type of the mattress that you need. For instance, back and stomach sleepers need a firmer surface. At the same time, side sleepers require softer beds, the ones that will cradle the protruding parts of their body. Check the warranty and the trial conditions. This aspect is very important, and you know that. The longer the warranty, the safer you will feel when using your mattress. And a good trial period will give you a chance to return the mattress in case it doesn’t work for you. Compare different models and read other people’s reviews. This will help you figure out how each model performs for different body types and under different circumstances. Perhaps some other user’s experience will save you from purchasing an uncomfortable or low-quality mattress. Don’t hesitate to ask questions. If you need to specify some aspects, you can always contact customer service. Their job is to help you, so don’t feel hesitant. Sometimes it’s better to talk to a real person and ask them about the product than just read the specs on their website. Memory Foam. This type has a hugging, oftentimes sinking feel. Foam is cradling and works perfectly for people who need good pressure relief. As for the downsides, it oftentimes has a slight off-gassing, tends to sleep hot, and doesn’t offer good edge support. Innerspring. Spring mattresses are very supportive and bouncy. They let you float on top of your bed instead of sinking into it. They are relatively cheap but don’t have a really long lifespan. Innersprings don’t sleep hot but can be quite noisy because of the squeaky metal components. Latex. What’s great about latex is its natural origin. It offers a quick response, good support levels, and good conforming. Latex is noiseless, sleeps cool, and great at motion isolation. However, latex mattresses offer a mediocre edge support and tend to be rather pricey. Hybrid. This type features a combination of the previous materials (sometimes just the two, sometimes all three). And here’s the kicker: there is a huge number of different hybrid options, which means there’s a perfect bed for almost everyone. On the other hand, such mattresses are quite expensive. Twin (39 x 75 inches). Used mostly for children or in rooms with a very limited space. Full (54 x 75 inches). Perfect for teenagers or petite solo sleepers. Queen (60 x 80 inches). The most popular size in Canada. Can fit two adults but doesn’t offer much space between the sleepers. King (76 x 80 inches). Being the same height as the Queen, it offers the same amount of leg room, but there is more space between the sleepers. California King (72 x 84 inches). The largest size currently available, Cal King offers both enough leg room and some free space between two adults (and maybe even some space for a cat or a dog). Buying online can be risky. But when it comes to mattresses, there’s not much to worry about these days. Modern manufacturers do everything they can to ensure a fuss-free shopping process, even if you order from the US or buy from a Canadian company, which doesn’t have any physical stores. In the majority of cases, companies ship their mattresses directly to your door. You can test the mattress for days (and months) and return it if it doesn’t feel comfortable enough. You don’t have to deal with an annoying sales person, who follows you around the mattress showroom. Mattresses that are sold online are usually cheaper than the ones in physical stores. You have all the time to compare different models and can read real users’ reviews in the process of shopping. Obviously, a mattress isn’t your ordinary household item. You can’t just throw it into the washer and make it sparkly new. Taking care of your mattress requires special steps. Those steps aren’t difficult to follow. Regularly rotate your mattress. This way, it will wear more evenly, which means no dents or lumps in your bed. Vacuum it. Once a week is perfect. Once a month is enough. This will help you get rid of the dust and other particles, which love to hide inside the mattresses. Invest in a mattress protector. A waterproof one would be a great solution. 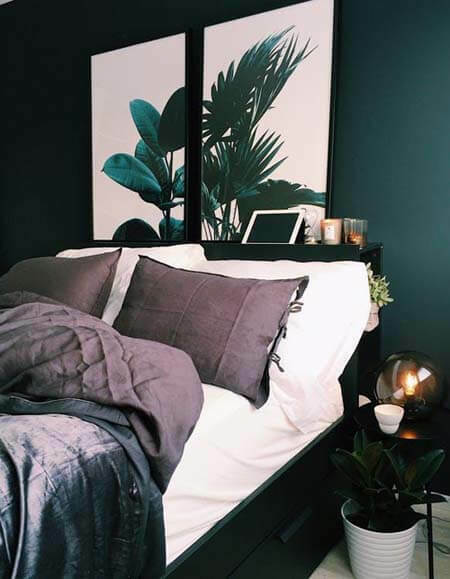 It will protect your bed from occasional spills, sweat, and other fluids, thus prolonging its life and keeping your sleeping environment safe for your health. Air the bed out regularly. Just strip it and leave in a well-ventilated room for a couple of hours. Avoid jumping on your bed. I know, it’s so much fun. But this activity can seriously damage the materials inside your mattress. Clean the spills right away. Don’t waste your time and don’t let the moisture soak in. These simple rules will keep your mattress fresh and intact. And you will be able to enjoy your restful sleep for years! This is crazy, but there are so many good Canadian and US-based mattress companies these days that it might be hard to pick just one model. If only mattresses were cheaper, I would sleep on a new one every month! But for now, let’s talk about our top picks. Want to know, which models impressed me the most? Well, if you want to buy from a Canadian company, I highly recommend the Douglas mattress. It is nicely made, doesn’t cost too much, and has a very pleasant, gentle and cradling feel. It is perfect for pressure relief too! As for the American mattresses, my all-time favorite is the Bear mattress. It can be shipped to Canada for free, so you don’t have to worry about the delivery process. This mattress is very comfortable! It has a bit firmer feel and even features a new innovative cover technology. So, have you already picked your personal favorite? Do you prefer buying from Canadian companies or are you ready to order from the US? Let us know in the comments! LOVE the Novosbed lineup. We have a Douglas and it is soooo comfy. Thanks for this list – good to see Canadians getting some options finally. I would like to see comments on the Obasan mattresses by Sleeptek.